My next stop on the “Read all Nobel price in Literature” journey took me to North Africa, as seen by Jean-Marie Gustave Le Clézio. Le Clezio received the Nobel prize for literature in 2008.He wrote “Désert”/”The desert” in 1980. The desert appeared to me as a metaphor for human misery and emptiness, but also for wholeness and its intrinsic happiness. The human misery and happiness are told through stories of descendants of a man believed to be holy by his North African nomadic people. The story’s two main characters are a boy, Nour, and a girl, Lalla. 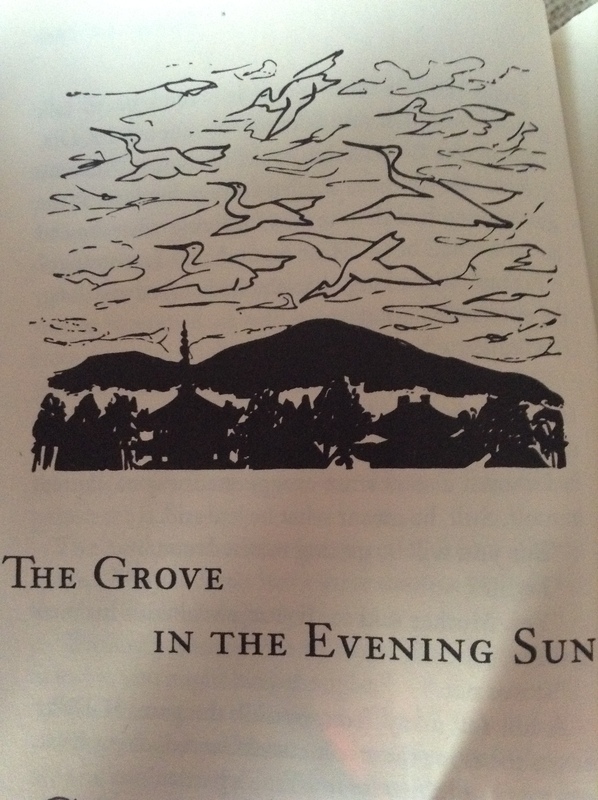 It is such a beautiful story that I read it every time I wanted to escape the daily routine. Lala takes you places. I loved to read it on my flights back home and to be mentally in the places Lala took me and see what she saw from the harshness of the desert to the brutality of the streets of Marseille inhabited by the once nomadic by lifestyle or spirit people, and further to the glamorous life of the most photographed face. At times, Lalla’s silent pain and suffering are hard to read about. It is also symbolic for a group of people affected by colonisation and its consequences. As if harshness breeds love, Lala, also called Hawa, who cannot write, adopted a small heart as her signature. This sign you’ll find on the books’ page adds to the symbolic heights this books takes you to. Lala, also called Hawa, is a gift of love. If you try to find out who she is her answers will teach you a thing or two on humbleness. Le Clezio amazed me with the pallet of styles he interchanges smoothly, softly, delightfully. I loved the book as it created a refuge for me from daily noise. I was almost upset, when the story took the turn of war and fights. The fight between the ever symbolic good and evil, “civilised” and those whom they call “fanatic”, a general and a desert warrior. The author gives his perspective on the beginning of 20th century events in North Africa. Le Cezio is tough on those who call themselves Christians. Is money their true religion, he asks. As if hunger, wariness, sickness and despair were not enough, natives had to be massacred and had to see their leader die, alone, abandoned, denied and forgotten. This book left a bitter-sweet taste and a desire to read more by Le Clezio, the French writer with Mauritian origins. My wonders in the Nobel Prize for Literature world brought me to east, Russia. The last Russian author I read was in high school. The Nobel Prize in Literature 1958 was awarded to Boris Pasternak “for his important achievement both in contemporary lyrical poetry and in the field of the great Russian epic tradition” reads the Nobel Prize Committee website.Boris Pasternak first accepted the award, but was later caused by the authorities of his country to decline the prize. First published in 1957 in Italy, this book appeared on Russian libraries shelfs only in 1987, being banned for twenty years by Russian authorities. “Doctor Zhivago” is a plain emotionally demanding reading. Anxieties and worries for now and future, regrets of lost identity or fortune dominate the story. Moments of light and love are rare in that period of Russian turmoil at the beginning of 20th century. Even apparently characters appear corrupted by this dominant pain. It’s an insight into Russian spirit of a great nation, which akin to an eternally rebelling teenager makes the wrong choices times and times again. You’ll require patience to read it. And a great deal of zen. I have none at this time. Will put it back on shelf for now and give it later another try. My next choice on ” Read all Nobel prize in Literature” project was Juan Ramon Jimenez, a Spanish poet and writer who was awarded the Nobel prize in 1956. More on http://www.nobelprize.org/nobel_prizes/literature/laureates/1956/jimenez-bio.html. Jimenez was primarily a poet. 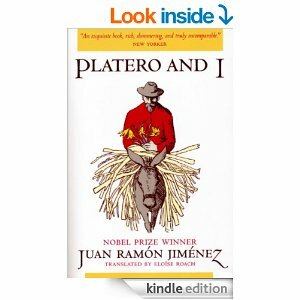 Reviews guided me to “Platero and I” for its purity. To me, this book is about compassion and a perfect refuge from urbanised minds and surroundings and a reminder of life’s simple joys. Written in 1914, it continues to enchant with its delicate poetic style 100 years later. This book is a collection of short titled stories of a relationship between an unnamed man and his donkey, Platero. Platero is a symbol of a confident any human soul longs for. Each story has its own life, letting the reader to read what he/she likes to indulge in the spirit of the moment. Early figs” story is dedicated to puberty and its mysteries. The “Pit” is a metaphor for an after life devotion to the soul made and life companion. “The kindergarten” is a pledge to keep the little one away from the “educational” system that breaks rather than makes. And so on. Animal lovers would relish the book. The sensitivity and care in “The Thorn” and “The canary’s flight” for the wounded animal and old bird respectively are worth following in human interactions. This book is for all and everyone. From the “enchantment of the roof” and the breath of sounds, aromas and visual experience reminds of the beauty of small things in life; a tribute to solitude in “Return”, a magic play of imagination and reality in “The Gate”; the glory of a Spring morning in “Spring”, gorgeous nature description in “The Pool”, to the best definition of gratitude “as if the evening sun has kindled a dawn of joy” in “The cart”. At times I wondered if Jimenez was a painter:”over the plain hovers a pure divine essence of blue meadows, celestial and terrestrial” in “The cricket’s song” or his moon description in “Nocturne”. 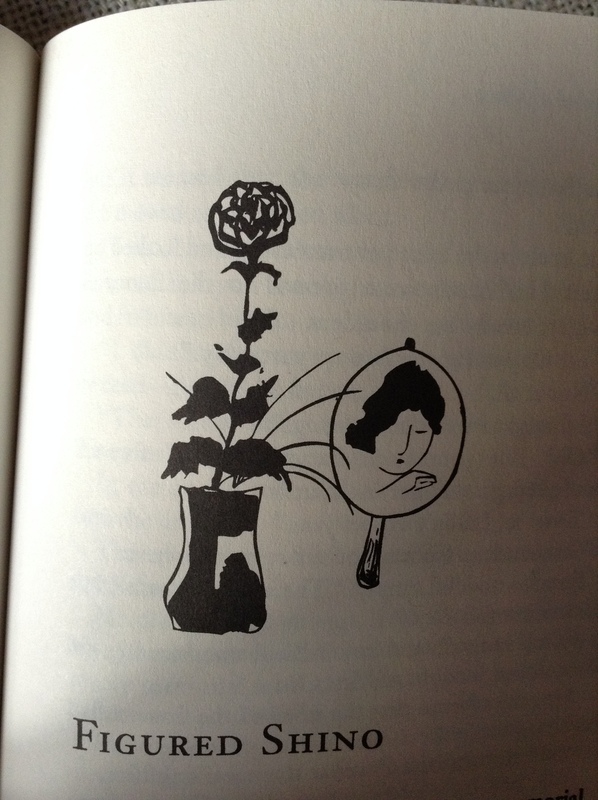 Definitely, he is a painter in readers’ minds. “If one could only eat flowers”, one of my favorite quotes, the world would become a better place for all living beings. 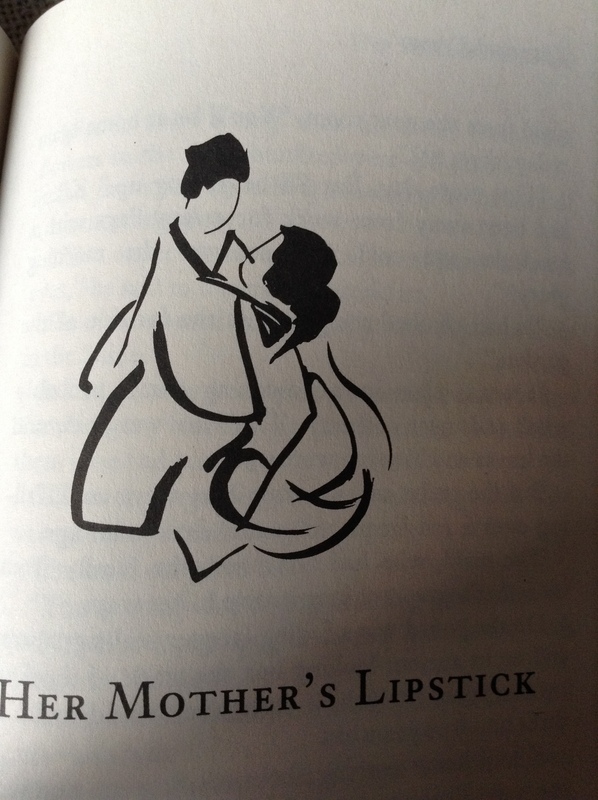 The book comes with beautiful sketches and is accessible in English with Eloise Roach’s enchanting translation. My “Read all Nobel Prize in Literature” project brought me to end of eighteen – beginning of nineteen century America. It’s been a long-long time since I did not want to put a book aside. It might be my master studies compelling reading of academic papers. Still, I enjoyed the novel immensely. Steinbeck got his Nobel prize in literature in 1962. Steinbeck looks at the birth of the American society through the lenses of a number of families, both native and new-comers, all with their joys and dramas. The scale of historical richness along with insights into human nature is one of a kind. It makes you cry, it makes you laugh, it makes you sad, it makes you happy. To me, the central theme of the novel is the human soul’s search for happiness. What is considered one of the novel’s flaws – not sticking to the story of one of the families feature, i.e. the Trasks – becomes its virtues, in my eyes, due to the panoply of the human spirit unveiled: from the mysteries of man-women un-shared love, parents- children relations, strengths of a good marriage, cultural clashes, moral dilemmas of war and business, master – servant relations, further into the mystery of brotherly competition for parent’s love. 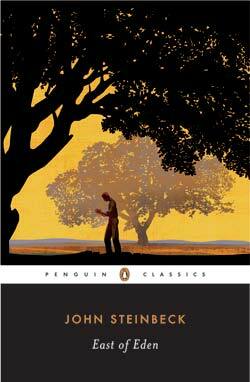 Steinbeck uses the biblical story of Cain and Abel as the symbol story of the human soul. His description of the nature of human feelings from fear to rejection, from rejection to anger, from anger to revenge through crime, from revenge to guilt amounts to the story of mankind. Cathy, one of central characters, is the drama of a revengeful soul who’s preferred story in childhood was Alice in Wonderland and who ends up facing her own reflection in her son whom she abandoned as a baby and who, 17 years later, rejects her with hurt, bewilderment and despair, feelings she thought she was good at hiding. Some might find it depressing. I think it is eye-opening and a wake-up call. I loved to find the fine lines between Oriental and Western thinking brought in by the interactions between Samuel, an Irish man, Adam, an original American, and Lee, a Chinese servant. To me, acceptance of things, as they are, is that fine line. “Within itself, if you do not hold it up to the other things for comparison and derision, you’ll find slowly surely, a reason and logic and a kind of dreadful beauty. A man who can accept it is not a worse man always, and sometimes is a much better man” is one of my favourite quotes from the book. I loved that Steinbeck ended the book on a positive note, with a parent’s blessing on a child’s soul in search of love and happiness. My To Read all Nobel Prize in Literature Project brought me to India at the beginning of the 20th Century. Rabindranath Tagore (May 7, 1861-August 7, 1941) was a Bengali poet from India. Tagore won the 1913 Nobel Prize, based on a small amount of his translated works, and his 1912 work of poems named Gitanjali: Song Offerings. 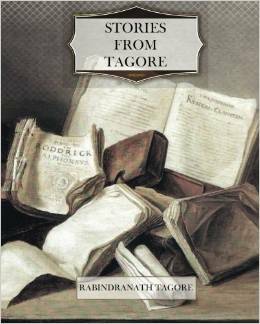 Tagore was an humanist, a teacher and this is the reason I chose to read ” Stories from Tagore”. The stories resonate with my country’s colonial past, when studying in a foreign language was imposed in schools. 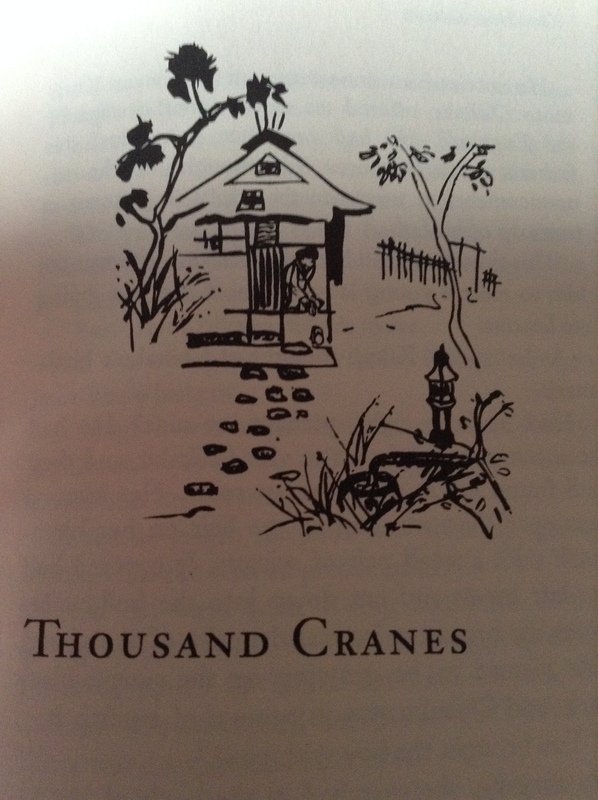 Tagore published these stories to help children get accustomed to a language foreign to their ears and eyes. At the end of each story, he makes space to explains “words to be studied” in plain language. He takes time to explain it in his Preface, addressing teachers’ difficulties in instructing Indian children out of books that are intended for use in English schools. These are sad stories. If you a looking for a more light reading, these might not be it. They are stories meant to bring to light human struggles. If your heart is justice centered you’ll find yourself dealing with silent or more vocal revolt. I must say that development realities do not appear to have changed much in India over the last century or so, at least from my recent development studies perspective. Inequalities, caste system, poverty, servitude, forced marriages, injustices, women and girls discrimination, lack of opportunities and affected livelihoods….. You’ ll also find the values of friendship, family, devotion and resilience emerge under most opposing circumstances. The value of family is central in many of these stories. It overturns even the collective pressure in a patriarchal society, as in “The Castaway” : “Sharat and his mother turned a deaf ear to them, thinking that the little life of their darling was of greater importance than the united wisdom of a village”. “Beauty is a truth’s smile when she beholds her own face in a perfect mirror” is my favourite quote from Tagore’s wisdom. A dear friend of mine gave it to me as a birthday gift, a nice addition to my “Read all Nobel prize for literature” project. 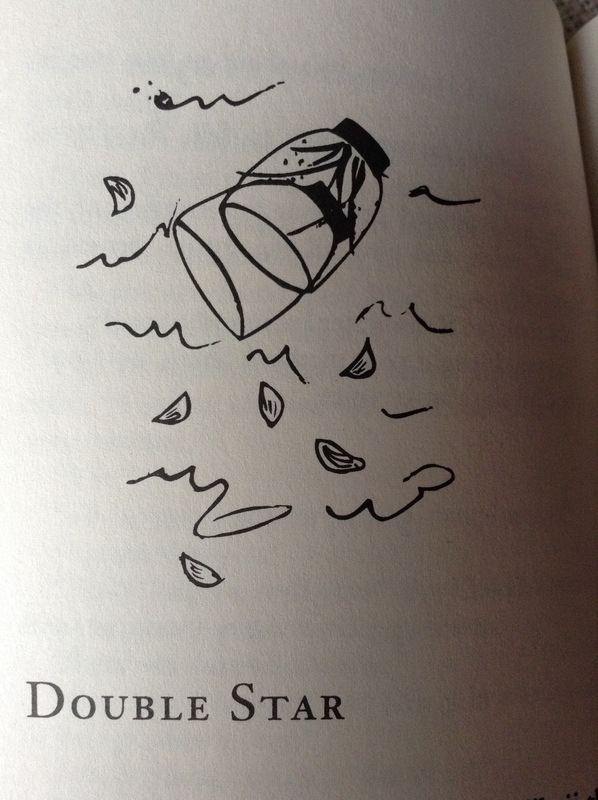 The book has also a beautiful cover and precious sketches on the first pages of each chapter. This friend of mine is a great artist in all her choices. Kawabata got the Nobel Prize for Literature in 1968 and he is the first Japanese author to receive the award. The novel is a perfect reminder of that fine line between love and hate, regret and gratitude, beauty and beast, revenge and peace, friends and enemies, guilt and harmony, death and life, danger and safety. 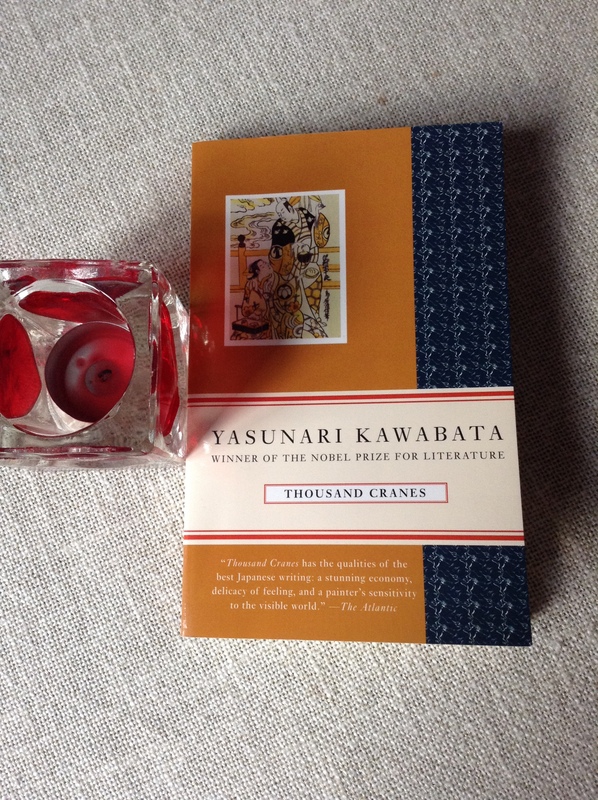 My favorite part is the description of Kikuji paying respect to a soul who loved him: “as he knelt with closed eyes before the ashes, her image failed to come to him;but the warmth o her touch enfolded him, making him drunk with its smell. A strange fact, but, because of the woman, a fact that seemed in no way unnatural. And although the touch was upon him, the sensation was less tactile than auditory, m u s i c a l.